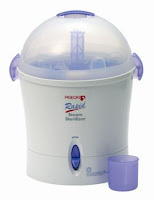 Another product worth mentioning is the Pigeon's Rapid Steam Sterilizer. I was doing some survey on which sterilizer should I purchase. Or maybe should I or should I not purchase a sterilizer. I mean, during my days, my mum says she just use boiling water to sterilize my bottles. 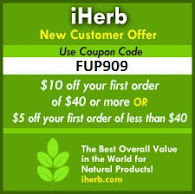 Then I read some forum and blog reviews about the advantages of this product. - Rapid six-minute steam sterilisation cycle effectively destroys bacteria, without the use of chemicals. - Automatically switches off when the sterilisation cycle is complete - the power-on indicator shows that the unit is switched on. - A large accessory tray holds all bottle accessories for the convenience of sterilisation. - When not opened, the steam sterilizer keeps contents sterile for up to six hours. - Need to remove the water inside everytime after use - if leave inside for too long, it will leave a smell. nope. no rust. ive been using it for more than 7 mths already and the heating plate is still metal-sleek clean looking. Just want to find out whether you are still using it and so far any problems? Coz i'm doing research on sterilizer. using it, so far no problem. Like i mentioned, the only cons are bulky n expensive(in Msia). So buy it if u have the money ( i bought it fr Spore so cheaper) n if u have the countertop space.